You can monitor the throughput in each application, for each slice, for incoming and outgoing bandwidth. Throughput is continuously monitored, and the page refreshed constantly. Each interface configured under Bandwidth > Control > Interfaces is listed, followed by the classes, and associated applications. Irrespective of your configuration, all throughput displays in kilobits per second. 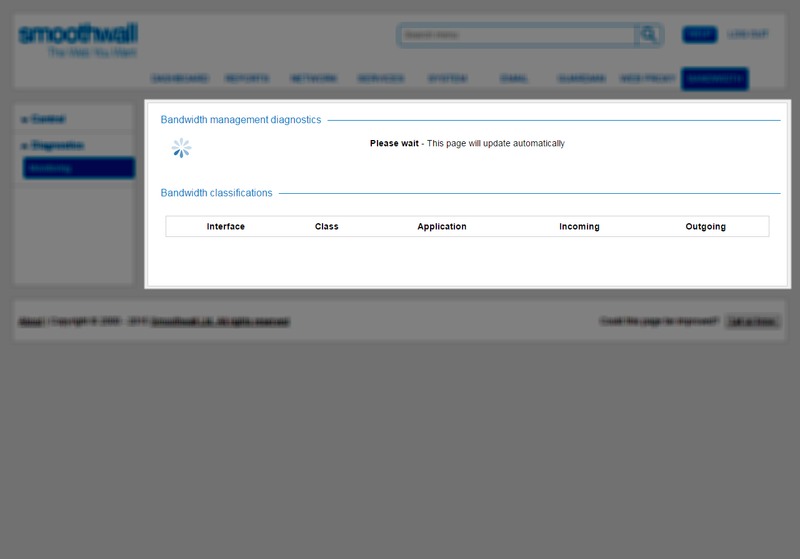  Go to Bandwidth > Diagnostics > Monitoring.